I've suggested Hasbro do a Famous Couples 2-pack similar to ToyBiz's from the 90s-2000s. 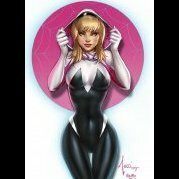 Akin to the Dark Phoenix/Cyclops, Spidey/MJ, and Miles Morales/Spider-Gwen two-packs. Would love to see a wheelchairless Xavier with a Moira MacTaggert (or an Xavier with a Lilandra and a Banshee with Moira), Beast with Trish Tilby, AoA Rogue with AoA Gambit, Beast with Trish Tilby. Hasbro knows how popular Doom is. I'd be surprised if collectors had to wait much longer for a new one. Perhaps they were working on the figure, but there was some kind of delay and they slipped a couple X-Men figures into the Walgreen Exclusive slot while they work things out. It's definitely possible. 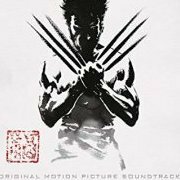 If the rumours pan out, there will have been at least four X-Men characters by the time they return to Fantastic Four, though: Magik, Mystique, Emma Frost, and Danielle Moonstar. Haha yes! 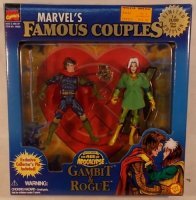 I was just thinking back to Toybiz's Famous Couples figures that had AOA Rogue and AOA Gambit paired up. Perhaps it made sense then as AOA Magneto had the same costume as 616 Magneto and his only differing look are his braids. Ok now I want an extra head with braids ala AOA with the release of the "Classic" Magneto. 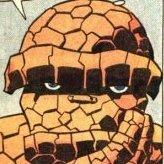 I'd love to see the Mad Thinker. Maybe give him his Quasimodo robot as an accessory or maybe that'd be too big? Aside from my typical go to guy, Strong Guy, I would love a Mister Hyde. The thing is I'm afraid Hasbro would fumble this ball. With characters like Kingpin (which was awesome, don't get me wrong) and Caliban setting a new weird standard for scale, Hyde would have to be done as A BAF of similar size, but something tells me that if and when they do decided to do one they'll try to do it on somthing like the Omega Red or Odinson single card buck. Oh, and an updated Wrecking Crew would be great. BTW Hasbro, Piledriver doesnt wear gloves. Bare hands are kinda his thing. 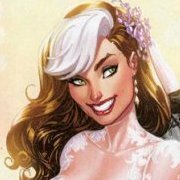 Much like how they've snuck the Serpent Society and Wrecking Crew out over several waves, I'd like to see some more D-list heroes get in there...and there's no one more D-list than the GREAT LAKES AVENGERS! 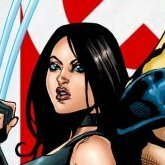 I'd legitimately love like a web-exclusive "three-pack" of Mister Immortal, Doorman, and a cut-out of Flatman in the background. Give me Marauders members please. I want a Savage Land Rogue that can be repainted and repurposed by Hasbro into a Shanna, too! Two birds-- one plastic stone! But, yeah... Just like we'll never see another Hasbro slave Leia, these two probably won't ever be in the running as new figures, either.